The business of breeding and the subsequent sale of cancers is not fully occupied by a niche business in our country, However, it is able to generate a steady and substantial income in a particular period of the year (about 6 months of the year). This requires a responsible approach to the issue, write a business plan, reflecting all the features of the launch of the project on the basis of the conditions and possibilities of the entrepreneur. In breeding the crayfish as a lesson, aimed at making a profit, has its own pluses and minuses. 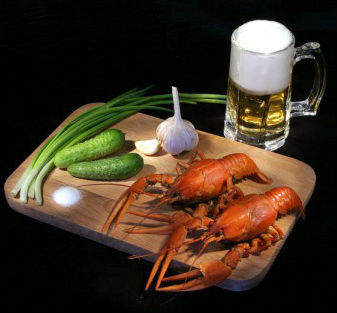 Pluses are a small starting investments and constant demand for crayfish (as they have long been recognized as a tasty treat), that facilitates the search for markets. 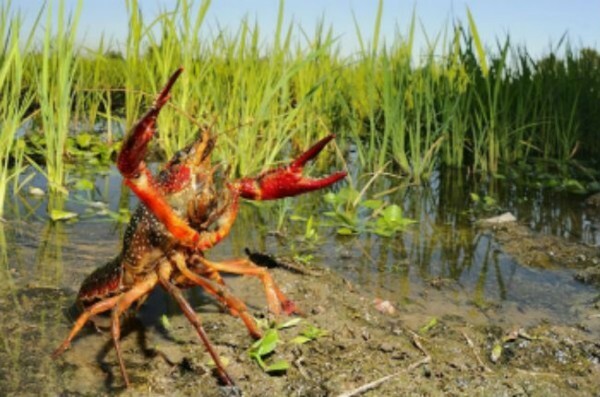 The main disadvantage of commercial breeding crayfish applies seasonal nature of the business, as the profit on dilution of cancers can be obtained only in the limited time of the year (from May to October). As noted, cancers has long numbered among the delicacies, which explains the constant demand for them. For this reason, the main consumers of farm products breeding crayfish are restaurants, restaurants and large retail chains. However, the business brought to a constant and stable profit, crayfish distribution flows must be permanent. During the search, the relevant sales points recommended in the first place to give preference to the signing of contracts for the supply with the large retail outlets such as wholesale, in which the realization of cancers has not yet been established. Also, it is urgent to implement production facilities for the breeding of crayfish to private consumers. In such a market the direction of a good advertising campaign can be carried out, connecting the so-called "word of mouth", by giving positive recommendations of people you know their friends. Actual distribution will develop cancers in bath, saunas and brasseries. In these schools the consumption of beer with different snacks (first of all cancers) It becomes a tradition, and therefore, demand for supplies will also be constant. In this way, after the establishment of sales of ways you can create a specific customer base, where the demand for grown cancers will be permanent, and further it is possible to judge the profitability of the business. growing on a farm factory type. In terms of economic benefits is more expedient to breed crayfish in the pond, as in this case, start-up capital will be less, and, respectively, reduced labor costs. If cancer is planned to raise in private households, It is suitable for such purposes as lake, and river birds. I want to note, that should be chosen more southern regions for arranging farm, since already at a temperature 17 degrees and lower crayfish are able to hibernate, that negatively affects their breeding. 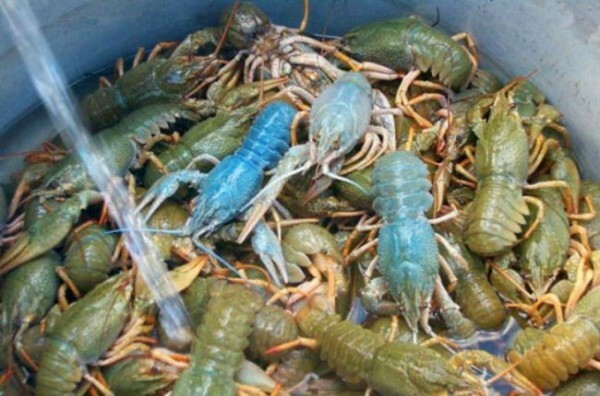 For this reason, if the selected region for arranging facilities for the breeding of crayfish, It is not in the warm latitudes, it is advisable to equip the indoor pond and breed in it lake crayfish, able to more quickly reach the condition and size, suitable for the implementation of. no need to replace water by installing a filtration system. Cons aquarium crayfish breeding in the home are the lack of the possibility of large scale cultivation, because the house can not accommodate a large aquariums. Besides, additional costs would entail payment of bills for electricity and heating. The most successful option for the accomplishment of the reservoir host of cancers - placing it on a personal plot of land, and it is desirable, to the pond was not alone (at least two). Accommodation near water bodies is due to the convenience of home control cultivation and breeding crayfish. Besides, in this case it is easier to track the presence of cancers and prevent them from stealing, which also may adversely affect the business prospects. The main criterion, offered for waters for crayfish - the maximum matching their natural habitat. Optimal digging a pond in the following sizes: depth - 3-6 m, square 30-60 quarter. m. The bottom of the pond is covered with layers successively stones and sand. Locate the nearest reservoir recommended source of water to allow the periodic addition of water, for which you want to install the drainage system and ensure that water is drained, which in turn are equipped with wooden grids. Metal mesh for such purposes should be avoided, as they adversely affect the health of the crayfish. You should also carefully monitor the temperature of the water, temperature limits for breeding crayfish make up 17-21 degrees. After that, as ponds are excavated, filled with water and live crayfish with caviar launched, we can not forget about the water update - at least once in two weeks, wherein the proportion of water inlet should not exceed 30% the total volume of the reservoir (otherwise the pond microclimate can be broken). Cancers should be fed larvae, insects, fish, crustaceans, worms and other. Before catching crayfish for later distribution as fodder can be used nettle, potatoes and other types of vegetable feed. Crayfish to start breeding, you can catch yourself in the natural environment, or to buy from private hunters. 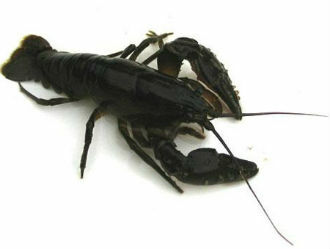 Approximate cost 1 kg crayfish (it is better, if it will be yearlings) private individuals is 100-200 rubles. It is also necessary to purchase females with live eggs for future launch in ponds for breeding. To obtain 1 crayfish ton, ready for subsequent sales, It is necessary to have approximately 600 fertilized females. the rate of, each such female weighs about 160 g, you can get a view of caviar from her about 80 kg meat rachego. To calculate the profitability of the farm for the breeding and sale of crayfish, initial costs should be counted. They include the costs of launching the procurement of females - about 8 000 rubles, and operating costs economy, including improvement of water bodies - about 180 000 rubles. In this way, startup business capital breeding cancers is approximately 188 000 rubles. Considering, what 500 females are able to bring posterity of about 13 000 individuals, and adult cancer weight is approximately 300 g, the total weight of the litter is 3,5-3,9 t. The market price for 1 kg cancers is 200 – 250 rubles. Respectively, with a total weight of offspring gross profit of 500 000 – 700 000 rubles, and net income – 312 000 – 512 000 rubles. Open a business based on the breeding of crayfish, in comparison with other types of entrepreneurial activity, may, at the simple actions on realization bringing considerable profit, since it does not require large capital investments starting a reinforced effort. However, you should carefully examine the recommendations of breeding crayfish, creating optimal conditions for their growth and reproduction. Failure to comply with these conditions may slow down the growth of cancer and the loss of the overall profitability of the business. As an example, you can download business plan for the breeding of crayfish farming for an approximate calculation of the preliminary costs and profits.